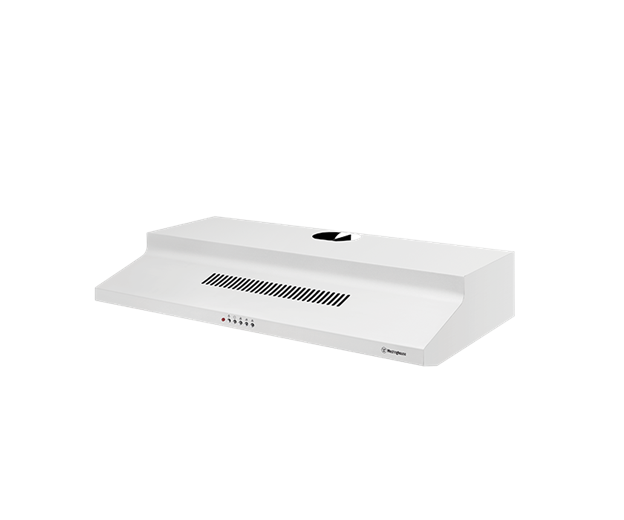 90cm fixed white rangehood. is rated 3.0 out of 5 by 1. 898W x 500D x 160H(mm) ? 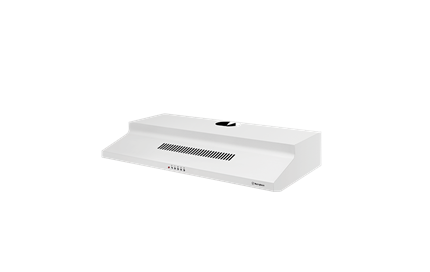 A white, universal rangehood with inter-locking push button controls, 900mm in width, with a 3 speed dual centrifugal fan. The rangehood is easily installed either partially behind cupboard doors or simply under cabinetry. Removable filters for easy cleaning, and the rest of the rangehood is easy to maintain - simply wipe down. The rangehood can recirculate into the kitchen if it is not possible to duct to the exterior. Carbon filters are recommended for recirculation.